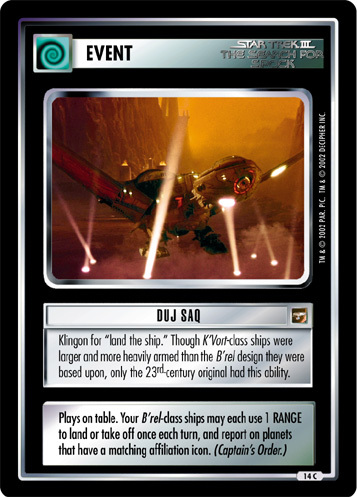 Vulcan refusion of the body and katra. The ritual was performed successfully for the first time since ancient legend between Leonard H. McCoy, son of David, and Spock, son of Sarek. Plays on table. 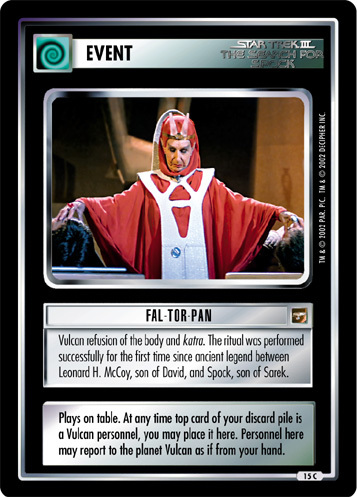 At any time top card of your discard pile is a Vulcan personnel, you may place it here. 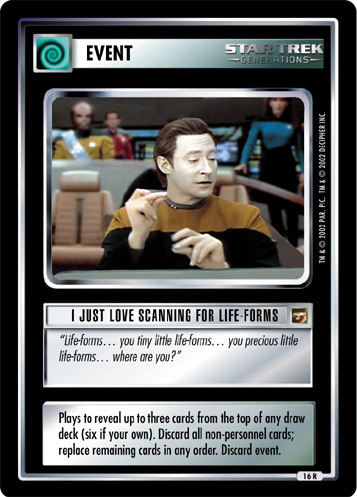 Personnel here may report to the planet Vulcan as if from your hand.